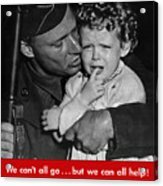 There are no comments for We Can't All Go - Ww2 Propaganda . Click here to post the first comment. 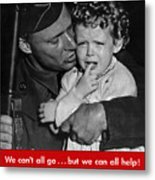 This vintage World War II poster features a soldier, rifle in hand, holding a crying child. 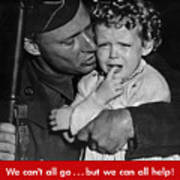 It declares, "We can't all go... but we can all help! 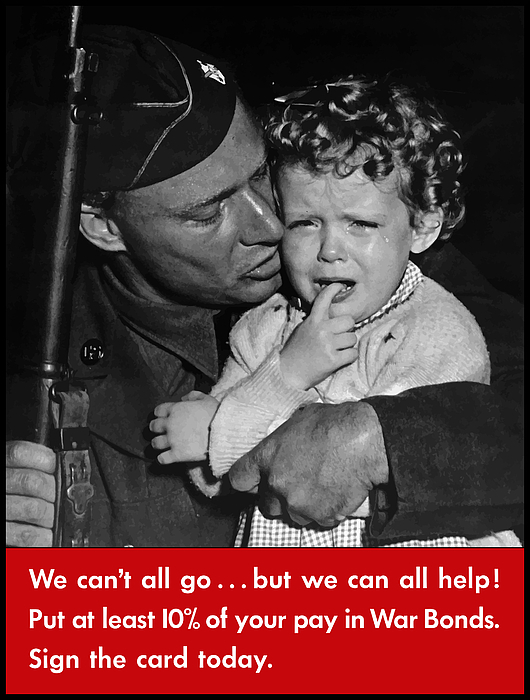 Put at least 10% of your pay in War Bonds. Sign the card today." Celebrate American and WW2 History with this digitally restored vintage war poster from The War Is Hell Store.